As the name suggests, this type of foundation allows for additional square footage and space. Common in many parts of the U.S., it is also one of the most beneficial because it offers durability and resistance against fire and extreme weather conditions. This foundation is built using a concrete perimeter of pillars to support the home’s above-ground structure. This is one of the popular foundation designs used in residential structures today. It has a reinforced concrete footing buried deep underground to secure the entire foundation against soil fluctuations. Piers, which are made from concrete or brick, are then constructed and attached to the footing. While it can be installed during new construction, existing homes can be reinforced further through foundation piering. A slab foundation is formed by pouring concrete on top of a soil-based area where the residential structure is expected to be built. The resulting concrete foundation has a thickness ranging from four to eight inches thick and is reinforced with steel rods and drainage pipes. 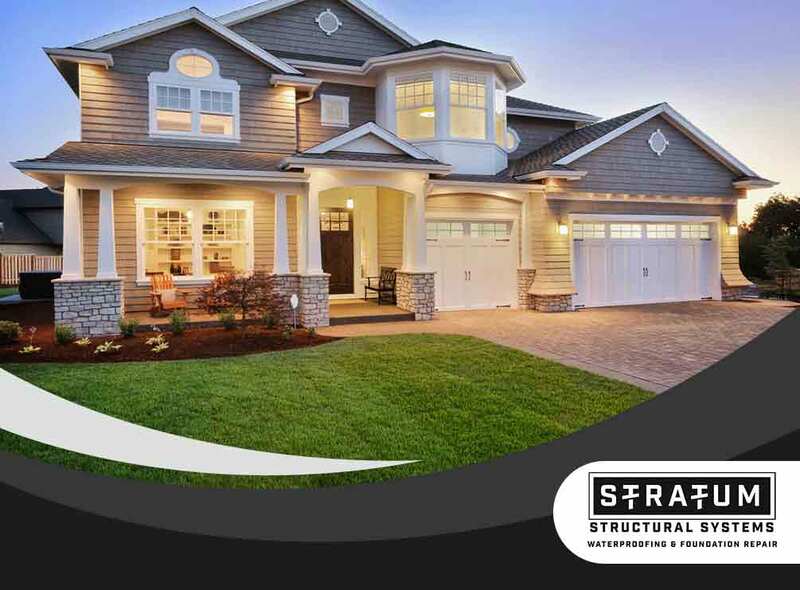 At Stratum Structural Systems, we provide top-notch concrete or brick foundation repair. We are adept in finding solutions to common foundation problems, including exterior water issues, cracks on brick and drywall, bowing walls and settling foundations. We also perform basement waterproofing and egress window repair. Give us a call at (314) 669-3030 to get started. You can also fill out our contact form to request a free consultation.